Supporters of a new pension reform proposal say it would shave almost $2 billion off the pension payments required by the state next year. Northbrook Democratic Rep.Elaine Nekritz and Rep. Daniel Biss, an Evanston Democrat, released an analysis of actuarial numbers provided from the state’s pension funds on their proposal, House Bill 6258. The bill would cap the amount of retirement income eligible for cost of living adjustments and delay COLAs until retirees turn 67 or have been retired for five years, whichever happens first. It would also increase the retirement age for employees younger than 46 and increase employee contributions by 2 percentage points. Nekritz and Biss said the measure grew out of talks among rank-and-file House members after negotiations among legislative leaders stalled. According to the figures released today, the plan would immediately reduce the state’s unfunded pension liability from an estimated $95 billion to $67 billion. Several components of the bill would contribute to shrinking the liability, but Biss said that the changes to the COLAs would be the most significant upfront savings. The report also said that if school districts had to pick up the costs of retirement benefits that are currently covered by the state, the cost would represent an estimated .52 percent of their overall payroll. HB 6258 contains a cost shift to schools outside of Chicago, as well as to universities and community colleges. The so-called cost shift was the main area of disagreement that held up previous plans. Biss said he was a bit surprised that the cost would be so low. However, those opposed to the cost shift have voiced concern over the idea, no matter what how little it might cost schools or how gradually it would be phased in. They say it would mean an increase in property taxes, and they are worried about unexpected spikes in retirement costs if the pension systems’ investments fail to perform as predicted. The price to universities under the plan would be a larger portion of their total payroll, but Biss said it would never grow to more than 4 percent. Public employee unions released a report earlier this week that illustrates the flip-side to those estimated cost savings, which amount to reductions in pension income for current and future retirees. According an analysis from the union coalition We Are One, the proposed changes in COLAs and the retirement age would mean that employees younger than 35 would see their retirement benefits reduced by 40 percent by the age of 80. Employees between the ages of 40 and 45 would see the value of their benefits by age 80 reduced by nearly a quarter. “We have yet to see the governor or legislators produce a pensions proposal that meets the basic standard of being constitutional, much less a plan that is any way fair to the hundreds of thousands of Illinoisans who are either currently receiving a pension or those who are paying into a pension that they expect to receive in the future,” said Illinois Education Association President Cinda Klickna. She said unions believe HB 6258 is unconstitutional. But Biss argued that no one could predict how judges will interpret the provision in the state’s Constitution that protects pension benefits. “There’s a wide variety of diverging views on the subject,” he said. “There are as many different constitutional theories on this issue as there are [reform] proposals.” Biss said the best lawmakers can do is pass a plan that they think is solid public policy and has the greatest chance of holding up in court. Union officials pitched a pension reform plan today that would ask state workers to pay more for their benefits. Under a plan proposed by the We Are One Coalition, a group of unions that represent a variety of state workers including teachers, health care professionals and university employees, workers would contribute more in exchange for legislators making an “iron-clad guarantee” to make the required pension contribution each year. “Teachers and administrators and 80 percent of all state workers do not collect Social Security [benefits]. ... The workers have made their pension payments, from the 9.4 percent paid by teachers to the 12 percent paid by the police. The reason we are in this mess today is the persistent failure of elected leaders to budget and pay the systems year after year,” Illinois Education Association President Cinda Klickna said. Employees would contribute 2 percent more of their paychecks toward their retirement benefits. The portion of their incomes that employees pay now varies across the state’s five pension systems. The group says that increase would bring $350 million more into the systems annually. Union officials said that no proposals considered so far meet the constitutional requirements that protect public employee retirement benefits. “Any proposal which fails to deal with the pension funding and does not pass constitutional muster is not real. It’s only prolonging the state’s fiscal woes,” said Joanna Webb-Gauvin, the legislative director for the American Federation of State, County and Municipal Employees Council 31. Union representatives said Quinn’s public outreach efforts, which paint the situation as an option between cutting pension benefits or cutting education and human services, are unfair because they do not consider other areas of spending, such as tax breaks. The coalition is proposing the elimination of $2 billion in tax benefits for businesses. “Today, the state of Illinois has a massive pension problem, the root cause of which can be expressed in one single word: revenue. Past governors and legislators took money the state owed the pension systems and spent it elsewhere. Fixing the problem requires that the money that was diverted must be replaced,” Klickna said. The group did not have actuarial figures on the impact their proposal would have on the system, or whether it would eventually result in a fully funded system. The unions' overall plan is similar to one they pitched last summer that was met with little to no attention from Quinn and lawmakers. However, a recent report from Moody’s Investor Services lends come credibility to the unions’ argument about the need for revenue. “Despite a diverse economy with above-average wealth, lackluster demographic and economic characteristics indicate that even with continued U.S. economic improvement, the state's existing tax structure will not provide enough revenue to address the rising cost of pension benefits and other state expenses,” the bond-rating agency stated. It changed the state’s fiscal outlook last week from stable to negative, in part because of inaction on the pension issue. Many of the tax breaks on the group’s list perennially pop up as options for new revenue. Quinn himself recently pitched some of them as a way to supplement the state’s underfunded capital construction plan. “Too often, states agree to weaken their revenue systems based on vague corporate claims of ‘job-killing taxes’ or a state’s lack of ‘business-friendliness’ without any evidence of the actual tax burdens of companies. This overemphasis on lowering taxes ignores the relatively small role impact taxes have on states’ economic development climates and neglects the very important role those taxes play in funding the services and infrastructure that actually do attract investment and jobs. Once written into law, these tax breaks are rarely if ever reviewed to see if they fulfilled their intentions,” stated a report released by the union coalition today. He said manufacturing jobs and research-and-development jobs often pay well enough to keep a family firmly in the middle class, and many are held by members of private sector unions. “It’s interesting [this is] coming from the unions. Without good manufacturing companies, you lose a lot of union members. If you’re going to have big manufacturing companies and small manufacturing companies leave, you’re going to lose a lot of your private-sector union employees,” he said. Denzler said business leaders are willing to discuss changes to the tax code as part of an overall conversation that would include other issues that contribute to their costs, such as the state’s worker’s compensation system. He said ideas such as expanding the state's sales tax base to some services while lowering the overall rate could be a good place to start negotiations about reworking Illinois' tax structure. Illinois continues to struggle with fiscal challenges as another credit downgrade looms, and Gov. Pat Quinn reveals a funding shortfall in the state’s capital construction program. Moody’s Investor services downgraded the state’s bond rating in January, making Illinois the lowest rated state in the country, according to the bond-rating agency. Yesterday, Moody’s issued a warning by changing the state’s credit outlook from stable to negative. The change is not a downgrade of the state’s rating, but such a move can often be a precursor to a downgrade. “This is kind of like the teacher having the parent discussion saying if the student doesn’t get it right, we’re going to have to give him this grade for the future. It’s like an intervention. If we don’t get it right, it’s going to go down,” said Illinois Treasurer Dan Rutherford. Quinn also discussed proposals to bring in more revenue for the state’s capital construction plan, which he says is underfunded. One of the major funding sources for the plan, which passed in 2009, is video poker. Legalizing video poker took longer than expected and is just starting to roll out in bars and restaurants across the state. Several local governments also opted out of having legal video poker in their jurisdictions. For more on why revenues from video gaming fell short, see Illinois Issues April 2010. Fox News Chicago reported that the governor has floated several revenue options via a memo to lawmakers to help close an estimated $250 million to $300 million gap. Quinn said today that some of the proposals on the memo come from his office and some come from legislators themselves. “There are some things I have talked about over many years of closing corporate loopholes and other loopholes that don’t produce economic growth or jobs. I think we ought to close loopholes and use that money to create jobs to help build more roads, repair our roads.” One proposal Quinn is backing is an idea he pitched in his budget proposal this year. He supports eliminating a specific tax exemption for oil companies that drill in the ocean and sit on the intercontinental shelf. There is a federal exclusion for such companies, and since Illinois’ tax code mirrors the federal code in most instances, there is a state exemption as well. At the time of his address, he estimated that eliminating such an exemption could bring in $75 million annually. Gov. Pat Quinn said any concealed carry bill in Illinois would have to contain safety restrictions to get his approval. “The court did say for the reasons of public safety that reasonable limitations can be applied...and I think it’s important that we stress that. Public safety comes first,” Quinn told reporters in Chicago today. After a federal court ordered the General Assembly yesterday to approve a concealed carry law within 180 days, supporters said they would not be as willing to compromise on a more restrictive bill. “We just wanted them to work with us in the past, and they never wanted to,” Rep. Brandon Phelps, a Harrisburg Democrat, said of those who did not back his concealed carry legislation. After Quinn stated publicly that he would veto the bill, Phelps’ bill legislation did not get enough votes to pass when it was called on the House last year. His proposal required training for a concealed carry permit and put limits on where guns would be allowed. But now that a court has signed off on concealed carry, Phelps and others say they will likely present a less restrictive plan. “You can’t argue with the courts,” he said. The governor used the news of the ruling to again call for the ban of assault weapons and high-capacity ammunition clips in Illinois “We are not going to have people marching along Michigan Avenue or any other avenue in the state of Illinois with military style assault weapons, weapons that are designed to kill people,” Quinn said today. During the veto session, the legislature overturned a veto that Quinn used to tack such a ban onto another bill. After that vote, he said he planned to back such a proposal through the legislative process. While the Senate voted to override Quinn’s vetoes of the money for the facilities, the House let the vetoes stand. Quinn used his veto pen to remove $19.4 million for the super-maximum security prison near Tamms and $21.2 million for the women’s prison in Dwight from the budget passed by lawmakers in the spring session. In addition to the prisons, he plans to close three transition centers meant to help inmates re-enter society. He also cut $8.9 million for a youth prison in Joliet and $6.6 million for a youth prison in Murphysboro. Quinn said without the money to fund them, the facilities cannot remain open. “We’ll follow the proper legal process in order to go through the court system, but the bottom line is last week the Illinois General Assembly did not override my veto, I vetoed money for these prisons and other facilities,” Quinn said today. But the Quinn administration has not released a timeline for the closures and the American Federation of State, County and Municipal Employees Council 31 plans to continue its appeal, which is pending in a lower court. “AFSCME members are extremely disappointed in this ruling. The injunction is vital to upholding the union’s right to seek judicial review of an arbitrator’s findings on crucial health and safety concerns. Nonetheless, we intend to vigorously pursue that appeal. This ruling doesn’t change the fact that closing any prison will worsen severe overcrowding throughout the correctional system, making the remaining prisons more dangerous for employees, inmates and ultimately the public,” Anders Lindall, spokesman for AFSCME Council 31, said in a written statement. A federal court ordered the Illinois legislature to craft a law allowing the concealed carry of guns in the state. House Bill 148 would not have allowed gun owners to carry firearms in certain restricted areas, such as schools and bars. Phelps said that bill will be scrapped and a new piece of legislation is currently being drafted. He said it would not be ready for the January lame duck session, but he hopes to introduce it to the new General Assembly in January or February of next year. Pro-gun groups and supporters of concealed carry said they will be less eager to compromise on such issues going forward. The majority ruling said that Illinoisans have a constitutional right to carry a gun for protection, and that right extends to places outside the home. “Twenty-first century Illinois has no hostile Indians. But a Chicagoan is a good deal more likely to be attacked on a sidewalk in a rough neighborhood than in his apartment on the 35th floor of the Park Tower. A woman who is being stalked or has obtained a protective order against a violent ex-husband is more vulnerable to being attacked while walking to or from her home than when inside. She has a stronger self-defense claim to be allowed to carry a gun in public than the resident of a fancy apartment building (complete with doorman) has a claim to sleep with a loaded gun under her mattress,” Judge Richard Posner wrote. But in the dissenting opinion, Judge Ann Williams writes that it is unclear that carrying a gun outside of the home for the purposes of self defense is a right protected by the Second Amendment and argues that the court should defer to the judgment of lawmakers when it comes to such a public safety issue. “Guns in public expose all nearby to risk, and the risk of accidental discharge or bad aim has lethal consequences. Allowing public carry of ready-to-use guns means that risk is borne by all in Illinois, including the vast majority of its citizens who choose not to have guns. The State of Illinois has a significant interest in maintaining the safety of its citizens and police officers,” Williams wrote. She concluded that the legislature “acted in its within it’s authority” when Phelp’s bill was voted down. Attorney General Lisa Madigan said she has not made a decision on whether she will seek an appeal. The court gave 180 days before its decision will be returned to the lower court to be implemented. That time period allows our office to review what legal steps can be taken and enables the legislature to consider whether it wants to take action,” Maura Possley, a spokeswoman for Madigan, said in a written statement. For more on the battle over concealed carry in Illinois, see Illinois Issues March 2012. Officials from the Teachers Retirement System of the state of Illinois say they would need a year to prepare for pensions reform. A judge has ruled that Gov. Pat Quinn must pay the contractual raises he denied to state employees, but the governor plans to appeal the decision. Cook County Circuit Court Judge Richard Billik ordered Quinn to pay the raises that approximately 30, 000 state employees have been waiting for since July 2011. "This ruling is a strong affirmation of the union's clear and simple position: Employees must be paid the wages they are owed, and a contract cannot be unilaterally discarded," Henry Bayer, executive director of the American Federation of State, County and Municipal Employees Council 31, said in a written statement. Quinn said he could not give the raises because the General Assembly did not include the money in the budget. However, more than 1,700 employees at the Illinois Department of Revenue and the Criminal Justice Information Authority received the pay increase in August. Quinn’s administration said both agencies had enough funding to afford the pay increases because of smaller-than-expected personnel costs. “The Illinois General Assembly did not appropriate money for raises in its Fiscal Year '12 budget. As the governor has said repeatedly, the state cannot pay money it does not have the appropriation authority to spend. We will immediately appeal this ruling,” said a statement from Quinn’s budget office. But the union called on Quinn to let the ruling stand. "Gov. Quinn has wasted hundreds of thousands of taxpayer dollars with the goal of preventing middle-class public employees from being paid according to their contract and the law. We urge the governor to end his wasteful court battle and move forward to pay employees who have waited far too long,” Bayer said. During the Illinois General Assembly's fall session, the House did not take up Gov. Pat Quinn’s budget vetoes, which eliminated funding for several state facilities he plans to close. Quinn cut a total of $57 million from the budget that lawmakers sent to him, and most of the money was funding for prisons and other Illinois Department of Corrections facilities that the governor says he intends to shutter as part of a cost-savings plan. He vetoed $19.4 million for the super-maximum security prison near Tamms and $21.2 million for the women’s prison in Dwight. In addition to the prisons, he plans to close three transition centers meant to help inmates reenter society. He also cut $8.9 million for a youth prison in Joliet and $6.6 million for a youth prison in Murphysboro. The Senate voted to override the vetoes last week, but the House did not take a vote on the issue, which all involved said was largely symbolic. 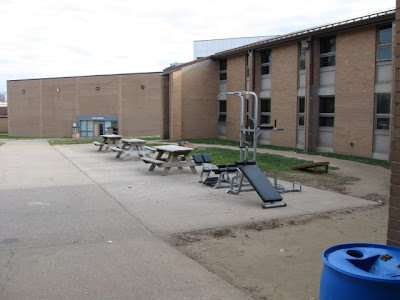 Even if the House had voted to reject Quinn’s changes, he would not have been bound to spend the money to keep the facilities open. Still, downstate legislators in support of keeping the prisons open wanted a chance to argue their case on the House floor before the House ended its veto session today. “I had the best speech ever,” said Rep. Brandon Phelps, a Harrisburg Democrat. He said the closures would hurt areas of Illinois that are already economically depressed. “Tamms is a huge economic engine for that little area down there. It’s just going to be devastating for that area and for my district. The governor always says he is the jobs governor, but he is not proving it right now.” Phelps said that today was the last day to vote on the vetoes. Quinn had been lobbying hard against an override in both chambers. “Today is a victory for the taxpayers of Illinois. The Illinois House of Representatives sent a strong message about their serious commitment to reducing spending the state cannot afford,” a written statement from Quinn’s office said. Critics of Tamms say that the prison's high staffing numbers and low number of inmates wastes money. They claim that its policy of extreme isolation for prisoners, who often spend only an hour outside of their cells each day, equates to torture. The treatment of inmates at the prison has been condemned by a number of international human rights organizations, including Amnesty International. Those in favor of closing Tamms argue that it would help other woefully understaffed prisons reach required staffing levels because staff from the closed prisons would be transferred. But those opposed say the closures will make the state’s already overcrowded prison system even more dangerous. The American Federation of State, County and Municipal Employees sued to keep the prisons open on the basis that the closures would put their employees in danger. So far, one arbitrator has sided with the union, saying the closure violates its contract, and one sided with Quinn, saying that the prisons could be closed safely. It is likely that a court will make the final call. A group of Illinois House members are pitching a new pension reform plan, which they say they hope will move stalled negations forward. “There is absolutely no question that the pension issue is the most serious public policy facing the state of Illinois. ... I think there is a frustration, a genuine frustration, on the part of many members of the legislature that there has not been meaningful negotiation, meaningful progress on this most serious issue,” said Rep. David Harris, who has signed on as a sponsor of House Bill 6258. Harris is joined by 20 other House members as sponsors, including one other Republican “I can tell you that there are others on my side of the aisle who feel very strongly that this bill moves us in the right direction,” said Harris, a Republican from Arlington Heights. Allow cost of living adjustments on only the first $25,000 of a retiree’s pension, or on only $20,000 for those who receive Social Security benefits. COLAs would not kick in until a retiree turns 67 or five years after retirement, whichever comes first. Increase the retirement age for employees younger than age 46. Employees from age 40 to 45 would see a one-year increase, employees 35 to 39 would see a three-year increase and employees 34 and younger would see a five-year increase. Increase the employee contribution by two percentage points, which would be phased in over two years. Limit the amount of pensionable income to the Social Security wage base, which will be $113,700 in 2013, or the employee's current salary, whichever is greater. Create a hybrid 401K-type plan, also called a cash balance plan, for newly hired teachers and university and community college employees, with employer contributions and a guaranteed return on investment rate. Employees unhappy with so-called Tier 2 pension benefit could opt into this plan instead. Supporters say that they cannot estimate how much the bill would save until they get actuarial analysis from the state pension systems. Sponsor Rep. Daniel Biss, who developed the cash balance plan, said the bill would eliminate the unfunded liability after 30 years. Unlike other proposals, the plan does not present employees with a choice of keeping one kind of employee benefit, such as retiree health insurance, or giving up some of the value of their pension benefit. Senate President John Cullerton has in the past said that such consideration must be given to employees for a proposal to pass constitutional muster. “The Senate president is encouraged that members are identifying ways to capture the local share of pension costs from local school districts. However, the larger proposal appears to impose unilateral pension reductions without offering voluntary acceptance by participants. We appreciate the efforts of [Northbrook Democratic Rep.] Elaine Nekritz and her colleagues, but we will take a closer look at the plan to see if it can be squared with the pension clause [of the state Constitution]," said a written statement from Cullerton's office. Nekritz, who is spearheading the new push for reform, said the group reviewed several opinions on the constitutionality of the changes to the system. “I don’t think anyone can know in advance what the seven supreme court justices will do,” she said. “I think all of us would agree that without some changes, Illinois will be sent into fiscal oblivion, and we have to avoid that.” Backers of the new proposal said that such a choice is confusing to employees and creates uncertainty about how much a plan would save because it would be determined by which option employees picked. House Minority Leader Tom Cross did say that he thought the measure is a good step in renewing negotiations. “There is a lot of merit to this proposal,” Cross said in a prepared statement. He said he was glad that the choice between COLAs or subsidized health care had been removed. Nekritz and Biss said their goal is to get legislation approved before the current legislative session ends on January 9, but Nekritz said if that deadline is not made, it does not mean the end of the push for pension reform. “We don’t fall off a cliff on January 9, so we would be able to continue this discussion through the spring session.” Both said they are open to tweaking the bill and hope to get feedback before the legislature is back in session in early January. They said that they think the new plan has momentum in the House because it has grown out of suggestions from rank-and-file legislators. “In order to produce the kind of comprehensive solution that has enough different ingredients to make it acceptable to a majority of the House, I think it makes sense for it to bubble up from the people who are going to have to vote for it,” Biss said. There seems to be little appetite in the Illinois House to take any disciplinary action against indicted Chicago Democratic Rep. La Shawn Ford. Ford is accused of lying to the now-defunct ShoreBank, which was located in Chicago. A federal indictment alleges that Ford, a real estate developer, told the bank that a $500,000 line of credit was for his business but instead used the money on personal expenses, including mortgage payments, campaign costs and gambling debts. Ford, who says he is innocent, faces 17 criminal counts. The House voted in August to remove Smith from office. However, Smith won the general election for his former seat and plans to return to the House in January when the new legislature is sworn in. The Illinois Senate approved a bill today to give driver’s licenses to immigrants who are in the country illegally, but the House may not vote on it until January. Senate Bill 957 would give immigrants without documentation a chance to get three-year temporary Illinois driver's licenses, which are already available in Illinois to immigrants who lack a Social Security number but have proof that they are in the country legally. The measure passed today with bipartisan support. It received 41 “yes” votes and 14 votes in opposition. Supporters frame the issue as a public safety initiative. “It seems to me that we are better off having folks tested to make sure they know how to drive, make sure that they get driver’s education, make sure that they have vision so that they can see, make sure that they have insurance rather than having so many of them drive illegally because of necessity,” said Senate President John Cullerton. “We believe that this is a good public safety issue that ensures that our roads are safe for everyone who drives on our roads,” said Lawrence Benito, chief operating officer of the Illinois Coalition for Immigrant and Refugee Rights. Opponents said they have reservations about having to address an issue related to illegal immigration before Congress addresses immigration reform. “I am in favor of legal immigration but oppose illegal immigration. I also support efforts by the national government to finally and equitably solve the illegal immigration problem in America. However, we have the cart before the horse in the case of granting additional legal privileges to people already breaking our country’s law. The national government should act first, which then paves the way for this action,” said Aurora Republican Sen. Chris Lauzen. But proponents argued that the state can no longer wait for Congress to act. “There’s no perfect solution. It needs to be dealt with federally. So I think this is a good example of states trying to figure out how to handle a problem that we have,” said Senate Minority Leader Christine Radogno. “For me, this has been somewhat of a process of evolution, where a number of years ago I was not supportive of this bill. I think a lot of us felt like the federal government would be more aggressive and proactive on the issue of immigration, and clearly they have not,” said House Minority Leader Tom Cross. The driver’s licenses would look different from a standard-issue Illinois license, and under the legislation, they could not be used as for identification or commercial driving. Failure to buy the liability insurance required by state law would make such a license invalid. However, Lauzen said he had doubts about whether those getting the licenses would be concerned with the legal requirement for insurance. “And when folks say to us, 'It’s only one law, the immigration law, that’s being broken,' that is simply not accurate for tens of thousands of people who are also employed illegally, many of them driving to work, therefore breaking the traffic laws. Now we’re expected to believe that folks who are already breaking the immigration law, the employment law, the traffic laws, are now going to follow the insurance law,” he said. But few from Lauzen’s party back his stance on the bill, which also has bipartisan support in the House. “This will, in my opinion, make our roads safer,” said Cross. Because of procedural requirements, a vote on the bill may not come until the lame-duck session scheduled for early January. Under the standard procedure for passing legislation, a bill must be read three times in each chamber on three separate days. Tomorrow is the second opportunity to read the bill in the House and also the chamber’s last day of scheduled veto session. While the Illinois Department of Corrections has fixed some of the serious maintenance issues at the Vienna Correctional Center, the overcrowding in the prison is hard to overlook. The minimum security prison in southern Illinois became the subject of scrutiny after the John Howard Association, a Chicago-based prison watchdog group, released a report last year detailing conditions that the report called “deplorable” and “unfit” for the inmates living there. Several news outlets asked to tour that prison and others in the state, but Gov. Pat Quinn’s administration initially denied those requests. Newspapers then ran editorials critical of the lack of transparency. WBEZ Chicago threatened to sue the administration to gain access, and Quinn then relented. DoC announced in October that reporters would be allowed to tour three of the state’s prisons: Vandalia Correctional Center, another minimum security prison plagued by reports of substandard living conditions; Pontiac Correctional Center, a maximum security prison that would absorb prisoners from the super-maximum security prison near Tamms as part of Quinn’s facility closure plan; and the prison in Vienna, where DoC officials led reporters on a tour on Friday. With an average daily population of a little more than 1,600, the prison now holds twice the number of inmates it was designed to house. However, warden Randy Davis said the facility’s emphasis on education, vocation and recreation makes that number manageable. “Could we drop a couple two or three hundred [prisoners]? Yeah, that would be great. ... Do I think for the most part we are extremely overcrowded? Not really. Not based on the fact that we try to get the inmates out a lot of the institution. We make every effort to get them into recreation, vocational training, education programs. My thing is, I like to see inmates out and about and doing things. It’s easier to operate. You have less problems,” said Davis, who has been warden at the facility since December 2012. 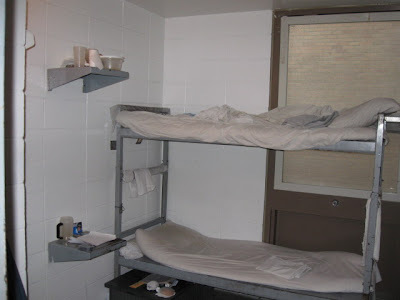 Vienna Correctional Center consists of several building, including six housing halls that were built in the 1970s and resemble dorms, albeit far less cushy than the average college freshman expects today. Most cells in those units hold two prisoners and are about 7 feet by 6 1/2 feet. Some cells hold only one prisoner and have a toilet. Davis said older inmates with health problems are typically assigned to them. Two of the cells entered by reporters had holes in the wall. Davis said there used to be shelves in the cells, but they were removed, and the holes should have been filled. The hole in one cell did not penetrate the wall completely but instead resembled a small cubby. In another unoccupied cell, the hole had been taped over. The housing units are not air-conditioned, and some inmates complained that they are also not heated well. Inmates can open windows covered with metal screens in their cells. “I’ve had times that it’s been awful cold in here. Awful cold. And you wore [all] your clothes and everything just to try to keep warm and still chatter your teeth,” said Richard Nicholson, who has been at Vienna for two years, serving time for residential burglary. “I wore my hat, my coat and every piece of clothing I had just to keep warm.” He is scheduled for release later this month. Davis said he is most proud of the vocational and educational programs, housed in their own dedicated building, which looks a bit like an old brick school. The prison offers several vocational programs, including a body shop, a mechanics program and a cosmetology course. Visitors to the cosmetology program could almost imagine they had stepped into a barbershop outside of the prison’s gates. A row of chairs with salon hair dryer hoods runs down the middle of the room. Posters of people modeling hairstyles hung on the walls. Inmates in the program worked at their stations — which include a large mirror and styling chair along with clips, combs, trimmers and other essentials — cutting, shaving and styling other inmates’ hair with intense focus. But the vocational and educational programs are not an option for prisoners who never make it past the waiting lists that average 50 to 100 inmates long, depending on the program. About half of the inmates at Vienna are only serving a year or less there. “That is key. That is absolutely where the rubber hits the road. While we don’t control who comes in, when we send people out, we’re hoping they come out better so they don’t come back in,” said DoC Director Tony Godinez. “So we’re re-shifting our program efforts to those individuals that are going to be leaving us soon because it makes more sense to re-divert those program efforts to those individuals — education, vocational studies, drug treatment. Because those are the individuals that are actually leaving soon, that could potentially come back, not the person that’s doing 40 years.” Inmates also work in the prison, but there are only about 650 jobs available. Building 19, which is one of only two original 1965 buildings left at the facility, gained a level of public infamy after the John Howard report and ensuing news stories, but its conditions have been well-known among Vienna prisoners for some time. If you ask an inmate about 19, odds are he has something to say. 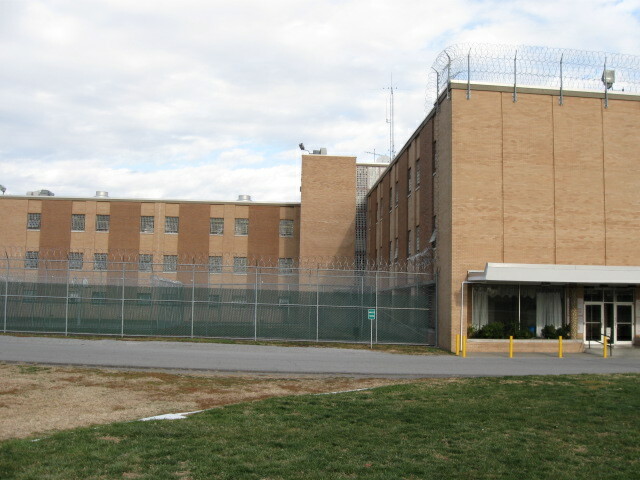 The building houses the prison’s intake center, and new prisoners live there until permanent placement at one of the housing units. Davis said inmates typically live there for about 10 days, but he said it sometimes takes longer to place offenders who have gang affiliations because they must be kept away from inmates in rival gangs. About 500 inmates are in the building at any time. Reporters did not find such conditions on their tour last week. Most windows had been repaired, although a few were still boarded up here and there. The inmate who spent his six-month sentence in 19 said he was bothered by spiders and mold in the building. Another prisoner, Marcus Johnson, who said he had been in Building 19 since he arrived at Vienna in September, said there had been a mouse crawling in the hollow frame of his bunk bed, but prison workers put out traps and the mouse stopped making its appearances soon after. Nicholson, who lived in Building 19 in 2010, had this to say: “Back then, I’ve got to say that it wasn’t real good. It needed a lot of work. The bathrooms dripped on you whenever you were using them, the piping. I imagine they’ve got that fixed by now. But I would say that building is not really fit for people.” But he said that there had been recent improvements all over the prison. “Lately, they’ve really been cracking down and doing quite a bit.” Davis said that after he was hired last year, there was no time to replace the original 1960s windows before the winter. “We did board up the windows last year,” he said. “We just didn’t have time to get that fixed.” He pointed out that the prison is in a rural area, where even homeowners usually have to deal with some pests. “You’re going to have mice, and you’re going to have bugs.” But he said that the prison has switched pest control vendors since the John Howard visit, and he said he has seen improvement. However, another section of the report still rings true. “As JHA entered the second floor, we saw hundreds of inmates with nothing to do except pace around the room or huddle around a small television in the corner of the room. A Vienna staff member seemed to recognize the stunned look on our faces. ‘This is a nightmare,’ he said quietly to one of JHA’s staff. ‘This should not be.’” It would be difficult for anyone who walked into Building 19 for the first time not to be a bit shocked at the row after row of metal bunk beds. Reporters were not allowed into a full wing, which typically houses about 100 inmates, but they walked past one. Inside, inmates called out for them to come talk to them and pointed to the room and the dozens of other inmates around them. But even in the wing that reporters entered, where most inmates had gone out for recreation, they got a feeling for what it was like for the residents. 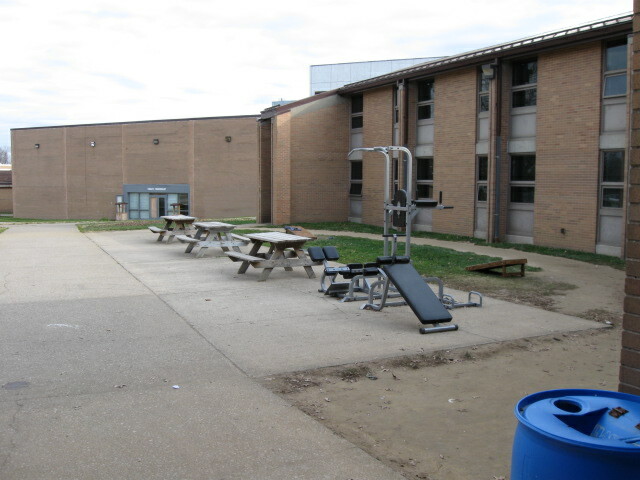 On an average weekday, inmates in building 19 get one to two hours of yard recreation. They get an hour in the gym about every three days. Davis said he hopes to convert a large room, now used to store laundry, into an indoor recreational area for 19 because once winter comes, outdoor recreation would be limited. Inmates in building 19 also take their meals in the prison cafeteria. But the rest of their time is spent on their wing of the building, penned up indoors with 100 other men. Most sit on their bunk beds, reading or watching television if they have one. The hours kept by the prison’s cafeteria are another indicator of the issues caused by crowding. Breakfast service begins at 4:45, lunch at 9:30 and dinner at 3:30. Davis said that schedule is needed to have time to prepare food for and feed the more than 1,600 inmates. An Illinois Senate committee today approved a bill that would allow undocumented immigrants access to temporary driver's licenses. Senate Bill 957 would give immigrants who are in the country illegally a chance to get temporary Illinois driver's licenses. Such licenses are already available in Illinois to immigrants who lack a Social Security number but have proof that they are in the country legally. The legislation would extend the licenses, which are valid for three years, to immigrants who cannot provide documentation of legal status. Proponents say the measure would make the state’s roadways safer and allow immigrants to purchase legally required insurance. “I think that while the issue of immigration is being debated on the national level, in the meantime we care about the safety of our highways in the state,” said Senate President John Cullerton, who is sponsoring the bill. The licenses would only be available to residents who can prove they have lived in Illinois for a year. Sponsors say that provision is meant to prevent immigrants from neighboring states coming to Illinois to obtain licenses. The licenses would have a different appearance than standard driver’s licenses and could not be used for identification or commercial driving. After three years, holders could reapply for another temporary license, and there is no limit on the number of times they could reapply. If a driver with one of the licenses does not have legally required liability insurance, his or her license would no longer be valid. Supporters say they expect the bill to be called for a floor vote in the Senate next week. Despite daunting losses in November’s general election and a challenge from among her ranks, Republican Senate Minority Leader Christine Radogno of Lemont will hold onto her leadership position when the new General Assembly is seated in January. Senate Republicans held an informal vote at a dinner this evening. The official vote will come after the new legislature is sworn in next year, but the outcome is traditionally determined before the issue is brought up on the Senate floor. After Senate Republican candidates lost big in the election, Lebanon Sen. Kyle McCarter started publicly angling for the leadership job. But he failed to gain the needed support in the Senate Republican caucus, which will only have 19 members in the new General Assembly. House Republicans voted last night to retain Minority Leader Tom Cross. During a busy veto session day today, lawmakers voted to override Gov. Pat Quinn’s budget vetoes, approved a bill that would require publicly traded corporations to share some tax information with the public and passed a resolution that could bar the way for pay raises for public employees. The Senate voted to override some of Quinn’s changes to the budget they approved in the spring. Quinn signed the budget sent to him by the General Assembly, but he vetoed $19.4 million that was included to run the state’s only super-maximum security prison, located near Tamms, and the $21.2 million included to operate a women’s prison in Dwight. In addition to the prisons, he plans to close three transition centers meant to help inmates reenter society. Quinn also cut $8.9 million for a youth prison in Joliet and $6.6 million for a youth prison in Murphysboro. The chamber approved putting funding back for the corrections facilities. The governor has been lobbying lawmakers to uphold his changes. “I had to make those vetoes in order to have money for the Department of Children and Family Services, and also because we can’t be spending millions of taxpayer’s dollars on prisons and juvenile justice camps that are half empty and in one case totally empty,” Quinn said. “The concept that we’re going to keep open Murphysboro, which is a juvenile justice camp, at a cost of millions of bucks and then take away money from neglected and abused children is I think really upside down. So I hope we prevail. We have two [chambers], and we’re going to fight hard in both places to uphold my decision.” The bill will now go over to the House. Quinn is under no obligation to spend the money even if the General Assembly votes to restore it. However, he cannot spend the money elsewhere, such as on DCFS costs, without the approval of lawmakers. After a failed attempt at the end of the spring legislative session to approve revenue to fund the state’s struggling Department of Natural Resources, the bill passed in the Senate today. Senate Bill 1566 would increase vehicle registration fees by $2, which would bring the cost of registration for a standard passenger vehicle to $101 annually. The proposal would also allow the DNR to charge out-of-state visitors park entrance fees and charge all visitors access fees for certain park features, such as beaches and horse trails. A previous plan of charging entrance fees for all park visitors was scrapped in lieu of the proposed increased vehicle registration fee. “If you live in Illinois and you have an Illinois plate, it’s open season. Go to any park you want to,” Hutchinson said of the plan the last time it was up for a vote. The measure has already passed in the House, and a Quinn spokesperson said the governor plans to sign the bill. Republicans who opposed the bill said that the Quinn administration chose to underfund DNR and spend the money on other programs. The Senate approved Senate Bill 282, which would require publicly traded corporations doing business in Illinois make some tax information public. Under the proposal, corporations would submit tax information such as their incomes, tax liability and tax credits they receive to the secretary of state. The information would not be made available to the public until two years after the information is filed. At that time, it would be available to the public through a searchable online database. Leaders of business organizations have balked at the idea of having to release information they say is private. “I think tax information is proprietary and confidential and should not be publicly released,” said Mark Denzler, vice president and chief operating officer of the Illinois Manufacturers Association. “The reaction from the business community ... has been pretty reflexively negative,” said Palatine Republican Sen. Matt Murphy. He said that he recognizes that Cullerton is not trying to hurt businesses, but he said, “I think at its core it sends the wrong message.” Murphy called on Cullerton to compromise with businesses. Cullerton said business groups have not come to him with any suggestions for compromise so far, but he said he hopes that might change. “Sometimes, people’s willingness to negotiate increases after it passes one chamber.” The bill has an influential House sponsor in Chicago Democratic Rep. Barbara Flynn Currie and also has the support of Quinn. Quinn is currently negotiating a new contract with the American Federation of State, County and Municipal Employees. Quinn said today that he told the union there is no money for raises under the new contract. “I honor the workers all the time. I have never said anything other than I really appreciate their public service. At the same time, if the state has these severe financial challenges, we’re all going to have to realize that that’s the reality and we’re not going to be able to have raises.” Union officials say the resolution undermines collective bargaining. Anders Lindall, spokesman for AFSCME Council 31, said the union has offered to forgo pay increases in 2013 in exchange for concessions from the state. “In reality, state employees have voluntarily done more than anyone to help the state close its budget gap — agreeing in 2010 and 2011 to unpaid furlough days, wage deferrals, health plan changes and other concessions that saved the state more than $400 million, and offering in the current round of negotiations to accept no pay increase in 2013 as part of a comprehensive settlement,” Lindall said in prepared statement. The Senate also voted to override a veto that Quinn used to tack an assaults weapon to another bill. SB681 would allow Illinois gun owners to purchase ammunition from in-state dealers through the mail. However, after a mass shooting in Colorado movie theater in July, Quinn used his veto pen to attach a ban on semi-automatic rifles, high-capacity magazines and .50-caliber guns onto the bill. Many lawmakers agreed that Quinn overstepped his authority by hijacking a bill that is at best tangentially related to the issue. “If the governor wants to do that, then he probably needs to find someone who introduces that bill and then we have a discussion about that bill,” said Okawville Republican David Luechtefeld, who sponsored SB 681. If the House also votes to override the veto, the underlying legislation would become law. The House has canceled its session for tomorrow, but the Senate is scheduled to start its session at 10 a.m.
Gov. Pat Quinn said today that Illinois does not have the money to give public workers raises under the contract their union is currently negotiating with the state. “We’re negotiating now,” Quinn said of the new contract. “I really hope we can come to a fair deal for everybody,” Quinn opted last week not to extend the union’s previous contract, which expired in June. However, workers are staying on the job without a contract, and the terms of the expired contract remain in place under state law. Quinn today declined to comment on a plan under consideration in the House to borrow $4 billion. The measure, House Bill 6240, is sponsored by Chicago Democratic Rep. Esther Golar. “I haven’t seen that bill. I have to look at it,” Quinn said. In the past, he has pushed the idea of borrowing billions to pay off some of the state's overdue bills. State workers may not get a raise next fiscal year if lawmakers stick to a resolution approved by a House committee today. House Joint Resolution 45 says that the General Assembly will not approve funding in the fiscal year 2013 budget to pay for any raises that could come out of the collective bargaining talks currently being held between Gov. Pat Quinn and the American Federation of State, County and Municipal employees, the state’s largest public employee union. The resolution does not legally bind Quinn from striking a deal to give workers a pay raise, but if passed, it would send a message that lawmakers are unlikely to include the money for a raise in next fiscal year’s budget. “It’s very straightforward. It simply expresses the opinion of the House concerning the amount of money that should be spent pending [a] collective bargaining contract,” said House Speaker Michael Madigan, who sponsors the amendment. The measure also states that it would be “policy of the state of Illinois” that the size of the state’s workforce will not be part of collective bargaining, meaning that promises to skip or lessen layoffs could not be used as bargaining chip in negotiations. Again, this provision would not legally bind Quinn or governors following him. The legislature effectively blocked pay increases for AFSCME members last year by not including the money for them in the budget. Gov. Quinn canceled the raises, saying that his hands were tied by the budget approved by lawmakers. The issue is still playing out in court. Although resolutions are not legally binding, the House has also stuck to recent budget resolutions that capped general spending. Lawmakers in favor of the resolution say that because the legislature approves the budget, the General Assembly should have some say in the spending associated with union contracts. “We’ve put our input in, which is we don’t have additional money. So if you make promises regarding additional money, the state does not have the ability to keep those promises,” said Rep. John Bradley, a Marion Democrat. But union officials say that the legislature is undermining the collective bargaining process. “Our union has negotiated contracts with Democratic governors, with Republican governors, in good fiscal times and in bad fiscal times. And the current collective bargaining process, uninterrupted, has allowed for contracts that are fair both to the workforce and to taxpayers,” said Joanna Webb-Gauvin, legislative director for AFSCME Council 31. She said that the resolution could “destabilize labor relations” in Illinois. It appears that negotiations over the contract are already on shaky ground. Quinn decided last week not to extend the contract, which expired in June. However, workers are staying on the job without a contract and the terms of the expired contract remain in place under state law. The resolution passed out of committee with no opposition. Bradley said it could come up for a floor vote in the House as early as tomorrow. Some Illinois lawmakers want to look at corporations’ income tax bills, but business groups say it would violate their privacy. Senate President John Cullerton said he plans to call Senate Bill 282 for a floor vote this week. The measure would require publicly traded corporations that do business in Illinois to share tax information, such as their incomes, tax liability and tax credits they receive. The information would not be made available to the public until two years after it was filed with secretary of state. At that time, it would be available to the public through a searchable online database. Business groups say sharing such information could expose them to their competitors. “You may have two publicly traded companies that make the same kind of product. If one of those companies is having tax problems and the other one is not, that’s a huge competitive advantage for knowing that,” said Mark Denzler, vice president and chief operating officer of the Illinois Manufacturers Association. The measure would apply to all corporations that do business, such as selling products in the state, not just those that are based here. Cullerton said it is unlikely that the bill would spur any businesses to leave the state because they would still have to disclose the information if they wanted to conduct business in Illinois. Community groups backing the bill argue that in tight times, all decisions that affect revenue deserve scrutiny. They say that some corporations are not pulling their weight when it comes to paying taxes. “This information is crucial for us to responsibly balance our state budget in way that ensures a better future for all of us. Our state simply cannot afford to excuse two-thirds of its corporations from paying their fair share without even knowing if they can afford to do more,” said Tony Pierce, board president of Bloomington-based Illinois People’s Action. If SB 282 passes in the Senate, it will then go to the House for consideration. Voters in Illinois’ Second Congressional District will soon be headed back to the polls to choose a replacement for Jesse Jackson Jr., who resigned from Congress last week. Jackson has been struggling with health problems, including bipolar disorder, and is the subject of a federal probe into potential misuse of campaign funds. He resigned last Wednesday in a letter to U.S. House Speaker John Boehner. "For seventeen years, I have given 100 percent of my time, energy, and life to public service," he writes. "However, over the past several months, as my health has deteriorated, my ability to serve the constituents of my district has continued to diminish. Against the recommendations of my doctors, I had hoped and tried to return to Washington and continue working on the issues that matter most to the people of the Second District. I know now that will not be possible,” Jackson wrote. Gov. Pat Quinn today announced that a special primary will be held on February 26, 2013, to coincide with local primary elections that are already scheduled for that day. Former U.S. Rep. Debbie Halvorson, whom Jackson defeated in the March primary election, has announced plans to run for the seat. Approximately 420,000 registered voters live in the 2nd District, which stretches across Cook, Kankakee and Will counties. In an unprecedented move, Gov. Pat Quinn has canceled Illinois government's contract with the state’s largest public employee union. But leaders of American Federation of State, County and Municipal Employees Council 31 say the governor’s decision will have little effect in the short term.